Michael Slager’s defense team on Tuesday used evidence not allowed during his murder trial in an effort to convince a judge that the former North Charleston, SC, officer felt threatened when he fatally shot Walter Scott. An audio expert contended that an eyewitness video captured Slager shouting, “Let go of the Taser, or I’ll shoot you,” moments before the then officer pulled his .45-caliber pistol and fired eight times. Slager has said he did so because Scott took the stun gun. It’s up to U.S. District Judge David Norton to decide this week what evidence to believe before delivering Slager’s sentence for violating Scott’s civil rights during the 2015 shooting. Slager pleaded guilty to the federal charge in May, the Charleston Post & Courier reports. 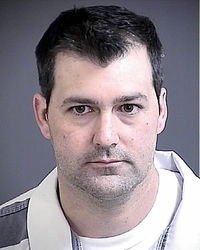 Slager faces between no prison time and life behind bars, though a pre-sentencing report drafted by a probation officer recommended a sentence between 10 and 13 years. But if Norton rules Slager's underlying offense in the shooting to be murder instead of voluntary manslaughter, the former officer could face a lengthier term.